1927 Heartfield Image Rationalization March Predicts Human Workers Replaced By Robots. Heartfield Posters Knüppel. John Heartfield’s collage “Rationalization Is On The March!” appeared on the cover of Der Knüppel (The Stick) Magazine. This political image stands out as one of Heartfield’s most detailed photo montages. It’s a prediction that’s come true. There’s no doubt that many jobs will be taken by machines and robots. The corporate rationalization is that robots can do the work quicker, safer, and with less expense to customers. But what will happen to the human workers? Will corporations that have profited from their labor for so many years find a way to help them earn a decent living? In 1927, John Heartfield was able to brilliantly comment on the corporate rationalizations for replacing human workers with robots. What will happen to those workers. Although the Der Knüppel Cover (left) is not a work by John Heartfield, it was chosen to illustrate the character of the leftwing satiric publication. 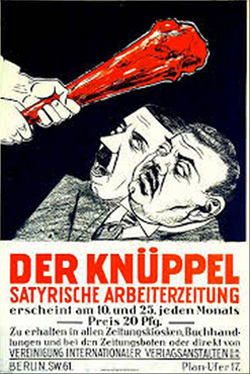 Der Knüppel translates to the “The Stick” and was later known as “The Red Stick.” The image of a red stick, representing the KPD (Communist Party), pummeling a cringing Hitler is a good visual representation of how Heartfield and other German artists used humor to minimize the führer’s importance. Der Knüppel appeared irregularly from 1923 to 1927. 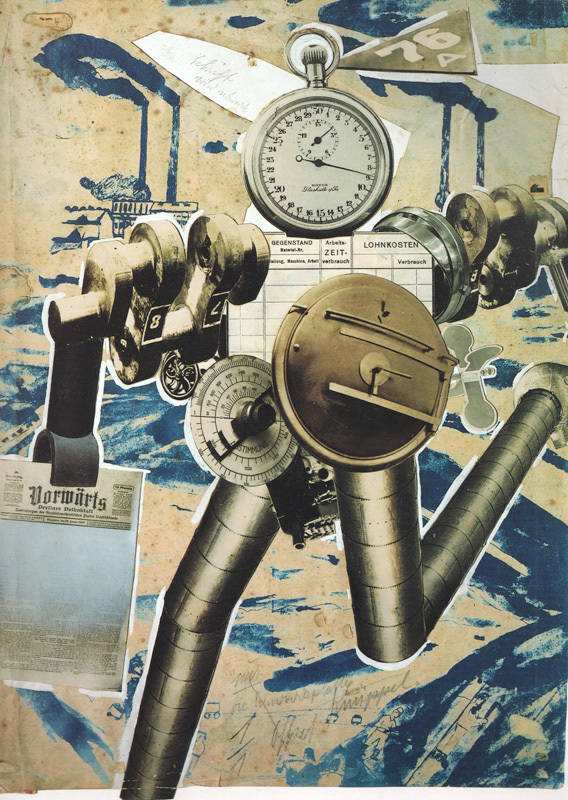 John Heartfield created collages and worked as an editor. New works for Der Knüppel will always be added. Please check the Exhibition Networking Sites for updates.